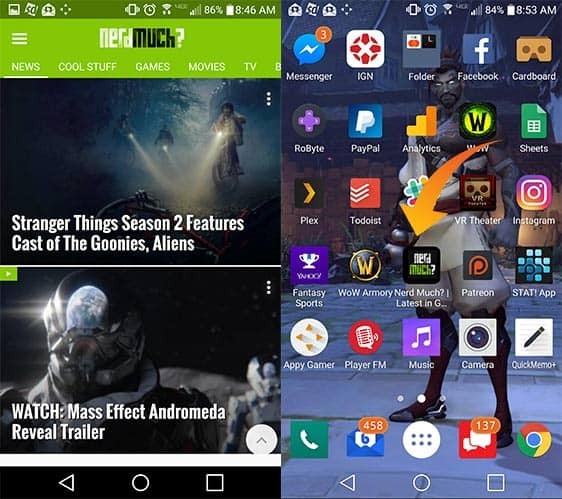 Announcing the New Lightning Quick Nerdmuch.com Mobile Site! | Nerd Much? I just wanted to give you all a quick heads up that we’ve significantly upgraded and changed our mobile site design in a way that’s going to greatly benefit our users (hey, that’s you!). We are constantly thinking about ways to make Nerd Much? better, and one of our biggest flaws had been our mobile site’s design. Comparatively, we were still ahead of the curve when compared to many other sites — at least, in my humble opinion — but our previous mobile version still wasn’t reaching its full potential. Starting today, thanks to a new partnership with Marfeel, we now have a brand new, much more user-friendly mobile site design. It’s lightning quick, thanks to some fancy algorithms (or something) that Marfeel designed. What’s more, you can now swipe between articles and category headers, so when you’re done reading one article you can swipe through the others. The new mobile design’s biggest benefit is speed, taking our mobile site from kinda slow and clunky to super fast and intuitive. You don’t have to do anything special, either — just browse to our site on your mobile device as you normally would. 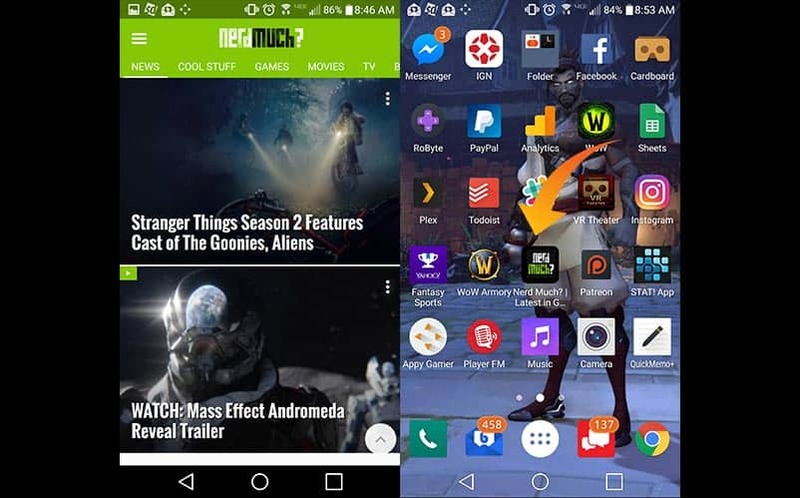 On top of that, you can also add the bookmark to your device’s homescreen, and it’ll load up like a standalone app, complete with its own Nerd Much? icon (see right side of the above image). So, you know, if you want to rep NM on your phone, you can do that now, too. Super cool. We’re still kicking the tires for now, and we’ll work out some of its quirks shortly, but the benefits far outweigh its one or two minor annoyances. Stick with us, and if you have any issues, please reach out to us on Twitter and I’ll address them. In the meantime, while you’re standing in line at the polls today, check it out.